Levenson et al. 1973, no.13 (a). Simons, Patricia. 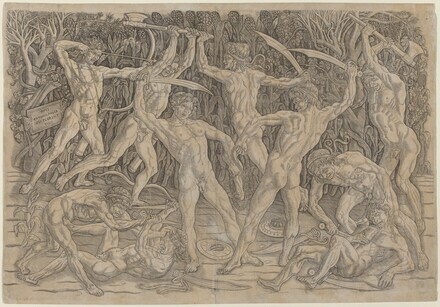 "Mantegna's Battle of the Sea Gods: The material and thematic interaction between print and sculpture." InPrints in Translation, 1450-1750: Image, Materiality, Space, edited by Suzanne Karr Schmidt and Edward H. Wouk. Oxon and New York, 2017: 89-113, fig. 6.2.